Chabad Teen Club Sarah's Tent For Teens ages 11 and up, offers a bi- weekly get together in an informal environment to discuss contemporary issues and discover how the wisdom of Torah is still relevant today. 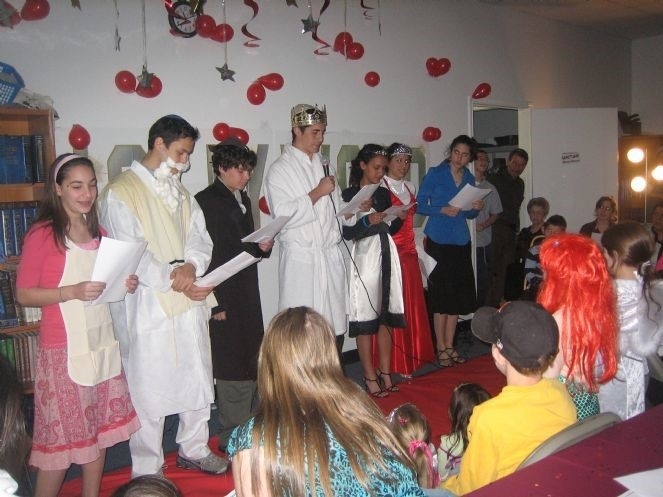 Once a month the Teen Club meets for a social activity such as bowling, barbecues, pizza parties, game night, ice cream bars, organized Purim carnivals and Shabbatons. The teens are involved in social events serving the community, visiting old age homes & helping seniors..
One of the nicest things about the teen group is that although they are at different schools, are in different grades, and come from various backgrounds— they have become a close group of friends.We "schep Naches" when we see that all of the teens stay in touch over the summer and even after they have graduated.